Relationship between angiotensin-converting enzyme, I/D polymorphism, and coronary obstruction in a population of Quindío, Colombia. Phenotypical characterization of Rubus L. species accessions in the towns of Pamplona and Chitagá in northeastern Colombia. 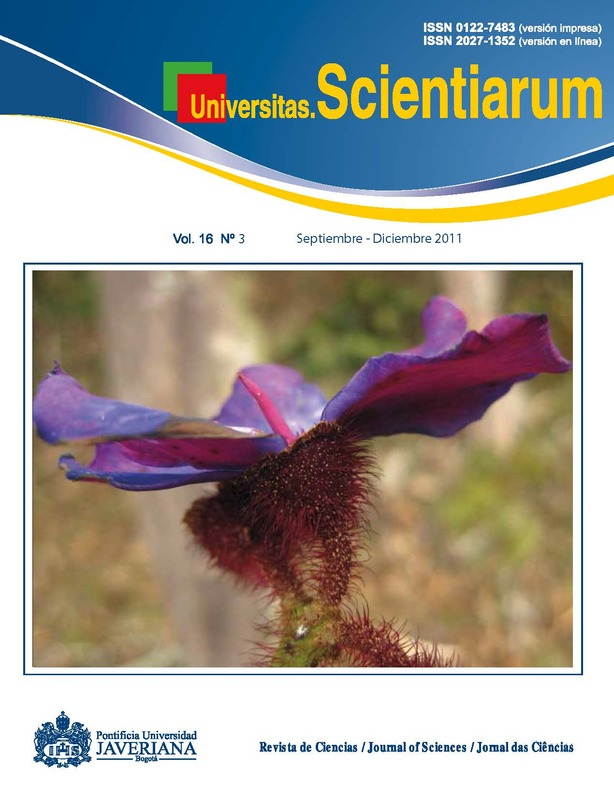 The worrying situation of Centronia mutisii (Melastomataceae). Use of multivariate statistical techniques in profiling and segmentation. Obtainment of the variance-covariance matrix through Kronecker products for balanced models of two and three ways with applications in R.
A retrospective analysis (2009-2010) of the dermatological, ear and ophtalmological alterations with presumptive clinical diagnosis of mycosis in canines and felines. Synthesis and in vitro assessment of antifungal activity of oximes, oxime ethers and isoxazoles.